The 2015 sand drag racing season wrapped up with the SCSDA Season Finals at the San Bernardino County Fairgrounds in Victorville, CA. Cool early November weather led to comfortable racing all weekend long with SCSDA series points championships on the line along with the checks and hardware for the race itself. Let’s take a look at the winners and champions. Avenal Sand Drags in Avenal, CA has announced their 2016 race dates. The Avenal Spring Nationals will take place on April 23-24 with the Fall Nationals set for October 15-16. After a successful season in 2015, the Avenal crew is looking forward to another great season. For more info on Avenal Sand Drags, go to www.AvenalSandDrags.com. Sand Wars 2016 is just around the corner on President’s Day Weekend February 13-15 at the Dumont Dunes, CA. The full event flyer has been released with info on both the Las Vegas Jeep Club Jeep/Truck/Car part of the program as well as the SXS Wars UTV racing presented by K&T Performance. The Jeep Club side of things will see the normal Jamboree format with Hill Climbs on Saturday followed by 100 yard Sand Drags on Sunday. There have been some tweaks to the class structure for the Sand Drags, full details are listed below. The SXS Wars will feature UTV action with Hill Races on Saturday followed by racing on the 100 yard Sand Drag track on Sunday. This is shaping up to be a great weekend of racing at the Dumont Dunes. For more info on this event, contact Shawn Thompson 702-378-3571 or Dave Stidham at 702-338-4606 for Las Vegas Jeep Club info, or Matt Ling at 559-312-6312 for Side by Side Wars UTV info. Click “Read More” to view full event flyer. 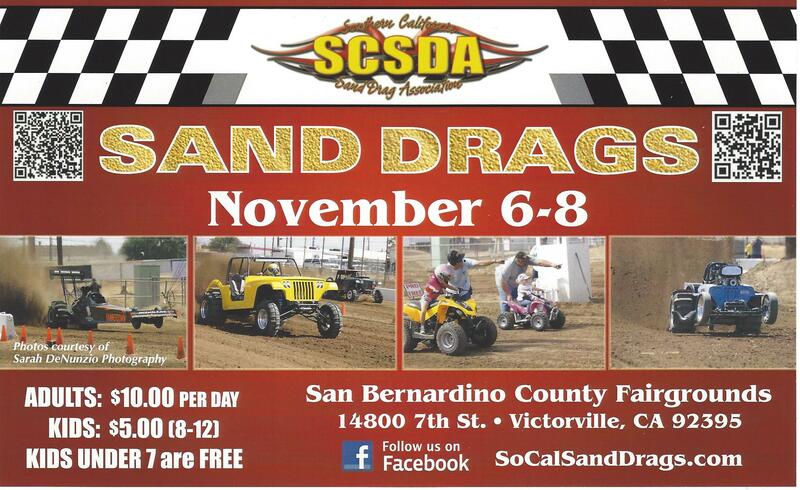 The Southern California Sand Drag Association (SCSDA) is preparing for their final event of 2015 on November 6-8 at the Sand Bernardino County Fairgrounds in Victorville, CA. This race is shaping up to be a battle with many of the SCSDA points championships still up for grabs. NSDN will be on-site with full coverage from this event. Click the links below for full event info. 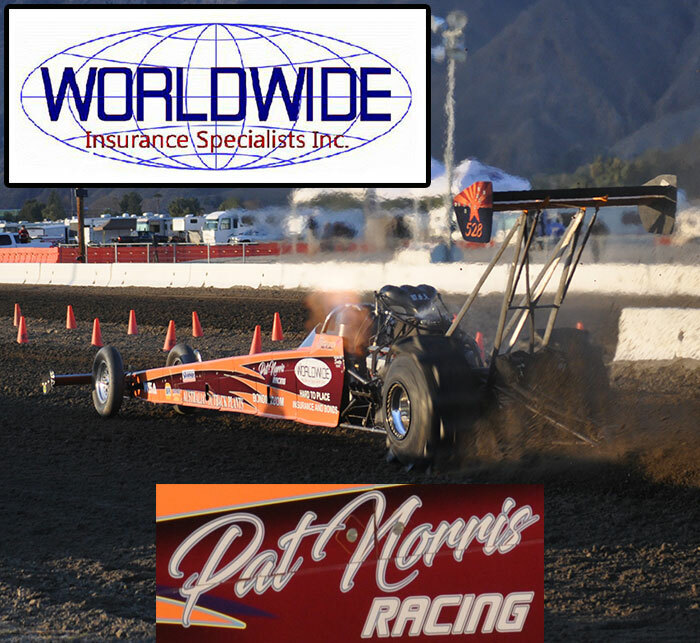 The 2015 Avenal Sand Drags Fall Nationals in Avenal, CA took place under warm and sunny mid-October conditions for Central California. The track was hooked up as usual in Avenal leading to great competition in each category. Let’s take a look at the action. The Fall west coast sand drag season kicked off over the first weekend of October with the SCSDA Racin’ For A Cure event. This race took place at the San Bernardino County Fairgrounds in Victorville, CA. A solid turnout of racers from across the Southwest converged on the Southern California track for a record setting weekend on the 300’ of dirt.